CHINA PRODUCES more than 820 million tons of steel per year, of which about 100 million tons are exported and sold at a discount overseas. Only about 3 percent of those exports go to the United States, but American steel producers bristle at the competition. So in keeping with the time-honored practice of the US steel industry — "the backbone of American manufacturing," as it proudly calls itself — domestic producers are rising to the challenge. Are they doing so by making their operations more efficient? By improving the quality of the steel they sell? By cutting their prices to maintain market share in the face of a tough competitor? Not exactly. They're getting the federal government to punish American consumers. "The United States on Tuesday said it would impose duties of more than 500 percent on Chinese cold-rolled flat steel, widely used for car body panels, appliances, and in construction," reported Reuters. "The Commerce Department said the new duties effectively increase more than five-fold the import prices on Chinese-made ... steel products." 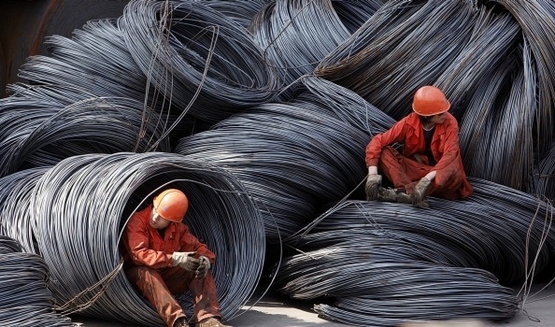 American steel producers complain that their counterparts in China are "dumping" cheap steel on the US market, benefiting from Chinese tax subsidies to undercut other companies' prices. 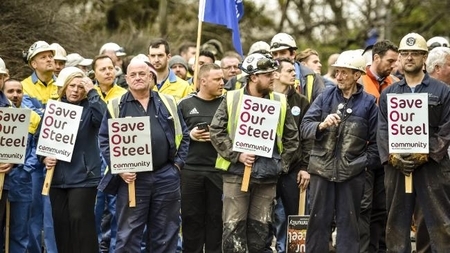 Because of these "unfairly traded imports," lament Thomas Gibson and Chuck Schmitt of the American Iron and Steel Institute, some US steel mills have had to be shuttered, and 12,000 steelmaking jobs were lost during the past year. It is always painful when workers are laid off and once-thriving facilities have to be closed. But the steel industry is far from unique. The US economy creates and destroys millions of jobs every year. No industry is exempt from the upheaval, retrenchment, or losses caused by changes in technology, trade, and consumer demand. The digital revolution has decimated once-formidable companies and careers in fields as different as journalism, instant photography, tax accountancy, and recorded music. Would anyone argue that the government should have suppressed the internet in order to preserve the employment and production patterns of the 1980s? Should the Commerce Department have imposed taxes of 500 percent on e-mail services and word-processing software so preserve the viability of typewriters and stenographers? For that matter, as economist Don Boudreaux has remarked, should the polio vaccine have been taxed into unaffordability for the sake of all the jobs that were once linked to the care of polio victims? Sooner or later, competition and disruption challenge every industry and market. The pain they can inflict is real, but far greater and more enduring are the benefits and prosperity they generate. American steel mills are understandably chagrined that competitors from China are beating them on price. But cheaper steel also means more affordable cars, homes, and appliances for tens of millions of Americans. It means more employment at General Motors, Boeing, and John Deere. Jacking up steel prices through "antidumping" tariffs and other protectionist measures makes life more expensive for all of us, and jeopardizes far more jobs than it saves. The US steel lobby complains bitterly that competitors from China are beating American companies on price. But cheaper steel means more affordable cars, homes, and appliances for tens of millions of Americans. There is nothing nefarious about Chinese mills selling steel at bargain prices in the United States and other foreign countries. Companies routinely mark down the price of their merchandise — in clearance sales, as loss-leaders, for promotional purposes, or simply in response to local conditions. The Commerce Department, and the US producers clamoring for punitive tariffs, claim that Beijing is subsidizing Chinese steel exports. Even if that's true, why should Americans object? We aren't being harmed by China's gift — we're being enriched. It is the federal government and its tariffs that harm us, by deliberately making steel more expensive and thereby making US consumers poorer. For years, American steel companies have bellyached about foreign competition, and for years Washington has responded with quotas, tariffs, "voluntary-restraint" agreements, and other restrictions on free trade. The Obama administration, like the Bush 43, Bush 41, Reagan, Carter, Ford, and Johnson administrations before it, has yielded to the industry's unreasonable demand for more trade barriers and corporate welfare. It's a pity. Nucor, Steel Dynamics, United States Steel and other American producers should be told to man up and face their competition in the marketplace. They shouldn't be rewarded for hiring lobbyists and publicists to wangle special-interest privileges that no business has a right to claim. It is irrational to attack foreign exporters for not charging us higher prices. And it is preposterous to whine that Chinese steel is being "dumped" on the US market. Steel that enters the United States has been sold by a specific Chinese producer and bought by a specific American buyer. The transaction is voluntary, the price has been mutually agreed to, and the benefits ripple outward through the entire economy. If domestic steel producers want that buyer's business, let them earn it the old-fashioned way, by outperforming their Chinese counterparts on price and quality. Protectionist tariffs are for crybabies, not for the backbone of American manufacturing.